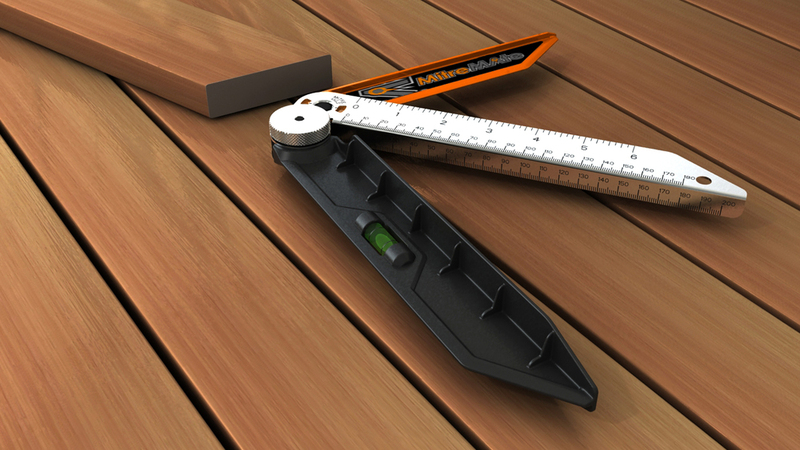 spirit level to help find level walls or to make a mitre level from an angled surface. It is as easy as pointing the pointer in the direction of which way you would like your material to go, then tighten the thumb wheel and tracing a line on the ruler arm, flipping the Mitre Mate over and repeating the process. Then simply cutting out the material. Please contact us for a video of the tool in use. The Mitre Mate is in its final stages of design, if you would like more information or register your interest in the product please feel free to contact us.